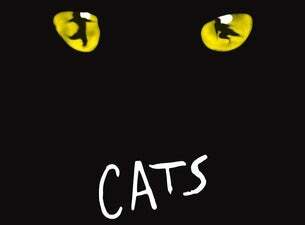 Andrew Lloyd Webber’s classic musical CATS is set to hit Brussels for one week only. From 19 to 24 March 2019 the hit musical will be staged in Palais 12, Brussels, which will be transformed for the occasion into an intimate musical theatre. A unique gesture towards Belgium in celebration of A.L. Webber’s 70th birthday and to mark the 5th anniversary of Palais 12. Welcoming the London West End production to Brussels is a very memorable occasion. The singing and dancing cats were in huge demand in A.L. Webber’s jubilee year. Naturally the shows will be subtitled in Dutch and French so you can easily follow the dialogue. CATS premiered in London’s West End in May 1981, marking the beginning of a victory march that is still going strong after the better part of four decades. Meanwhile, more than 81 million people in over 350 cities in 20 different countries have seen the production. The show captivates audiences of all ages and cultures. The CATS cast and crew consists of no less than 57 artists and technicians whose commitment brings a colourful explosion of energy onto the stage. For decades, the musical has moved and exhilarated audiences the world over.